At America Forward, we believe that innovation and evidence are needed in order to more effectively address our country’s most pressing social problems. From both ends of Pennsylvania Avenue, there has been similar rhetoric that data and evidence should be used to develop policy, allocate budgets, and award grant dollars in order to improve the effectiveness of our federal programs. And over the last several years there has been some movement in translating this rhetoric into action through Congressional activities and Administrative efforts. Annually, however, there is always the need to defend policies and programs that are rooted in evidence, data, and outcomes-based decision-making even in the midst of this movement. The most concrete example of this exercise is the Social Innovation Fund (SIF). Each year during the annual budget and appropriations process, the SIF is defunded by one or both chambers of Congress. The SIF is an innovative program that awards grants to and works with existing grant-making institutions to direct resources to innovative community-based nonprofit organizations. The purpose of the SIF is to improve the lives of people in low-income communities by increasing the impact and scale of these innovative community-based organizations and approaches in the areas of youth development, economic opportunity, and healthy futures. A key element of the SIF model is the requirement of an evaluation as part of every grant to build the evidence of what works. In addition to growing and evaluating promising community-based solutions, SIF funding is also used to test Pay for Success—a new approach for government to fund proven community-based solutions. If our federally elected officials are genuine about moving towards an evidence-based policymaking environment, they must embrace the idea that it is a movement with many stages that needs to be focused on and resourced continuously. Policies must support the invention (R&D) of innovative, effective approaches. Resources should be allocated to test these inventions. Implementation activities need to be supported and those activities must include opportunity for measurement of impact and adjustment. Funding to invest in successful inventions at a large scale also should be prioritized. And finally, this movement needs to include an openness to continuously improve as factors impact the need for new inventions or additional testing of current approaches. What is particularly significant about the SIF is that it currently serves as the only federal program providing resources for all stages of this important movement. As a result, this modestly funded program should be seen as a critical element in achieving this bipartisan ideal of evidence-based policymaking in the federal government. Through support from a SIF Pay for Success grant, America Forward Coalition member Third Sector Capital Partners (Third Sector) is working with five jurisdictions to study and test the use of Pay for Success as a mechanism to bring greater innovation and impact to youth workforce development programming. In 2014, through passage of the Workforce Innovation and Opportunity Act (WIOA), states and localities are now authorized to use Pay for Success in contracting for workforce and job training services. This authority was included in this bipartisan piece of legislation because of a desire to bring a greater emphasis to the use of evidence and outcomes in the allocation of federal workforce and job training funding. Third Sector’s SIF grant funded work is critical to helping jurisdictions invent and test new ways of contracting for youth workforce development services in an effort to translate this new evidence-based policy into practice. Coalition organization REDF has been awarded a couple of SIF grants to support subgrantees that operate social enterprises that hire and provide supportive services to people who face barriers to work. Through its first grant, REDF has catalyzed social enterprise expansion across the country while using quasi-experimental evaluations and a cost-benefit analysis design to measure the impact of the work. With its most recent SIF award, it plans to continue supporting implementation of social enterprises while rigorously measuring the impact of this approach to addressing the workforce and job training barriers many Americans in this country face. Nonprofit Finance Fund and Coalition organization the Corporation for Supportive Housing are both working with states, localities, and nonprofit providers in studying and supporting the use of Pay for Success in the funding of community-based solutions. The most recently launched Pay for Success project, which is in Denver and is focused on the use of permanent supportive housing to more effectively address the needs of chronically homeless individuals in its community, benefitted from a SIF Pay for Success transaction structuring grant. These grant dollars played an important role in helping to build the partnerships, identifying the investors, and supporting the evaluation structure for this Pay for Success project that is focused on improving the lives of one of Denver’s most high need populations. 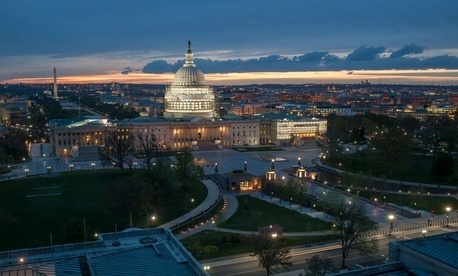 If the Administration and Congress are serious about being more outcomes-focused and evidence-driven when making policy and funding decisions, the core criteria that should be used when making these decisions is whether a program, as a core element of its work, tracks data and measures impact or if it supports efforts to rigorously evaluate and use outcomes-based contracting for federal programs. If it does, programs such as the Social Innovation Fund should easily be funded every year and the fight to save it could be channeled to other important efforts in the critical movement to creating an evidence-based policymaking environment. In the current funding discussions in Congress, the House of Representatives has voted to fully fund the Social Innovation Fund at $50M/annually with the authorized 20% set aside for Pay for Success. The Senate, however, defunded the program. Both bills have successfully been voted out of their respective Appropriations committees though passage on either the House or Senate floor is not anticipated.